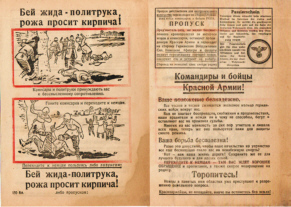 Who is Hitler? 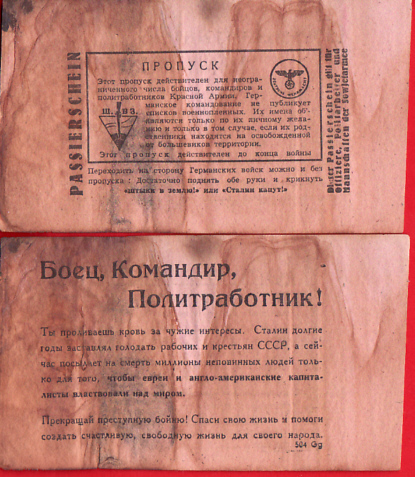 Eight page booklet showing over 20 photos where Hitler is shown with German workers, farmers and soldiers. 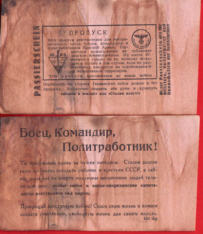 It tells how "Hitler is a son of his nation and a leader of all." 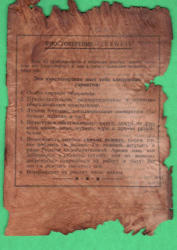 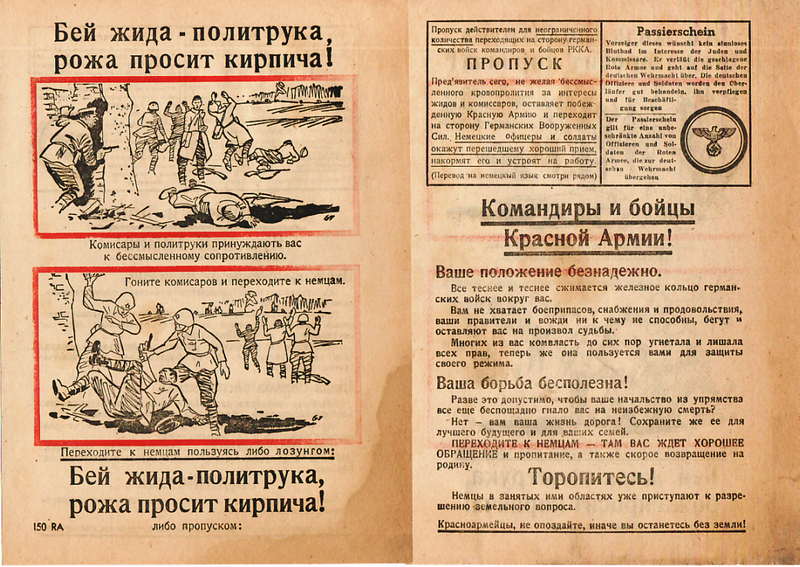 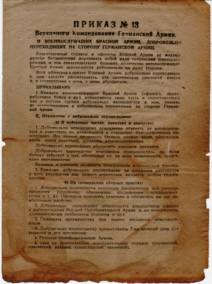 The booklet urges Russian troops to throw off "The Jew and Bolshevik yoke" and stop defending their own prison. 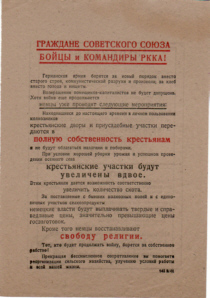 German Surrender Pass for Red Army Troops 1 to 50 Men.